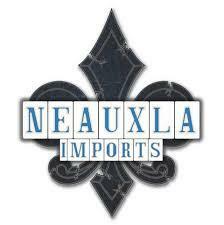 Neauxla Imports a leading stone supplier of granite, marble, quarts, and quartzite, for the the New Orleans Metro Area is celebrating its three year anniversary. After many years of living and working abroad, Neauxla Imports founder and co-owner Fred Caro returned to his native Louisiana and immediately contacted his lifelong friend David Gentry. Together Fred and David would enter into a business partnership with the creation of Neauxla Imports and they are now proudly celebrating their company’s third anniversary. Specializing in beautiful natural stone slabs for kitchen and cabinet countertops, Neauxla Imports is enjoying ongoing success as it continues to expand with a warehouse that is now larger and more accommodating than its previous Harahan location. As the business experienced rapid growth in both its commercial and residential consumer sides, owners David and Fred found it necessary to move from their Harahan location into a larger warehouse in Kenner to accommodate a bigger visitor showroom, stone yard, on hand inventory, and bridge saw. So no matter if your dream kitchen calls for marble, quartz, quartzite or granite countertops, Neauxla Imports ensures that the right stone is within reach and available at a great price. Despite its relatively young history, the company boasts over 25 years of direct industry experience with expert cutters and installers able to create the perfect and precise design from some of the most gorgeous slabs of stone on the planet. Owners Fred and David believe that it is this strong belief in personal service that sets them apart and vow never to lose that competitive edge despite rapid growth. From Brazil to India and all points in between, Neauxla Imports is ever on the hunt for the perfect stone as they eagerly look forward to many more years of service..